I am currently a tenure-track, Assistant Professor at the University of South Carolina in the College of Nursing (CON). I joined the faculty at the CON in 2013 and transitioned to my current role in 2015. In my current role, my primary focus is on conducting research that focuses on preventing and treating breast cancer among African American and low-income women. My primary research is currently funded by a five-year grant from the National Cancer Institute (2015-2020) where I will be designing a program to improve breast cancer survivors’ experience with taking endocrine therapy (e.g., tamoxifen). I also have a grant from the CON where a nursing colleague and I have developed a mobile website “app” (Mocha Mamas Milk) aimed to improve breastfeeding among African American women. Breastfeeding reduces the risk of developing aggressive breast cancers in women, yet African American women are less likely to breastfeed. In addition to research, I teach courses to graduate nursing students. My experiences as a cancer disparities researcher have been guided by key moments of exposure. During my senior year at Wake, I had no idea what I was going to do with a degree in Sociology. Dr. Earl Smith advised me to apply for one of the top social work programs in the country and that’s just what I did. After completing my MSW from University of Michigan, I was hired as a Presidential Management Fellow (PMF) at the National Cancer Institute (NCI), where I gained my first real exposure to the world of research. As a PMF, I saw research that continually documented the disproportionate burden of cancer among African Americans. I was not exactly sure, however, about how I wanted to make a difference until I attended the NCI Minority Investigator Career Development Workshop in 2004. There, I learned both about NCI’s commitment to reducing cancer disparities, and about the lack of minority researchers doing this much needed work. During my time at NCI, my best friend’s mother also died from breast cancer. The combination of those personal and career experiences made me determined to make a difference. I resolved to pursue an academic research career, building on my social work background by adding the public health and research focus. Time management is the most challenging aspect of my job. Faculty members often have considerable amounts of autonomy and flexibility in how we spend our time, such as deciding what types of projects we want to participate in, which committees we want to serve on, etc. For someone like me who is naturally drawn to helping others solve problems, I have a tendency to say “yes” to a lot of unique and timely opportunities that may not always be the best way for me to spend my time. What has helped me the most with overcoming this has been two things: 1) having great mentors and 2) professional development. I talk with my mentors regularly about how I am spending my time or new opportunities that have been presented to me, so that they can advise me on what I should stick with, what I should walk away from and how to effectively manage my time for the tasks that are currently on my plate. I am passionate about self-improvement, so I constantly seek resources and attend workshops focused on time management as an academic. Embrace the fact that life after college isn’t lived in semesters. Real life is not linear, predictable, and cannot always be planned. The joy in this fact is that much of what shapes your life story are those things that you never anticipated would happen. At each stage of your life, seek out and talk with people who are living out things that YOU value in their careers and personal life. For example, if you value work/life balance, set up a lunch or coffee meeting with that person who seems to be balancing those roles well. I have found that people love to talk about themselves (in a good way), especially when it can help someone else. By nature, I am a person who deeply values meaningful relationships. During my time at WFU, I developed some of the deepest relationships (including with my Hubby!) I had ever had in my life. I have been nurturing those relationships now for over 20 years. My WFU network plays a key role in giving me a safe space to be my “whole self” with women like me who are now balancing families and careers. I have maintained this network through consistent communication (e.g., email, phone calls, text groups, social media) and creating opportunities to get together (e.g., dinner, trips out of town). For my professional networks, I have been deliberate by keeping in contact with them via email, social media, connecting at professional conferences, and collaborative projects. I have learned the value of having a team of mentors. I am an African American female scientist, as well as a wife, mother and teacher. I am also a first-generation college graduate and first-generation academic. Given the complexity of my identity, I go to different mentors to get different pieces of advice for my career and life. As I stated earlier, my professional mentors help me in general with career aspects such as time management, learning the norms of academic culture and developing new research ideas. I also have some mentors who share some of my personal and professional identifies who give me strategies on work/life balance as a mom or how to navigate the academy as a minority faculty member. Get exposed to research early! I didn’t learn anything about research until I was in my early 20’s. At a minimum, current students should seek out short-term opportunities to volunteer or work on grant funded projects with faculty at WFU or elsewhere. Current students should also take advantage of opportunities to do an honors thesis which develops key research skills. Young alumni should seek out research assistant or program manager jobs where you will have the opportunity to help carry-out key aspects of the proposed research. The greatest benefit in getting research experience is that it is an inherent resume builder and you will attain highly transferable skills that can be used in other industries should you desire to change fields or disciplines. My two most pressing career goals are to obtain: 1) tenure and promotion to Associate Professor; and 2) my first independent research grant from the National Institutes of Health. Story published in February 2019. 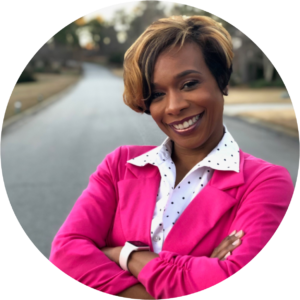 For current updates about Tisha, visit her LinkedIn page.